Note Sich1-M: It has been reported that Sich1-M has been launched at 24 Dec. 2004 sucsesfully from Plesetsk, and has reached its target in orbit. However there was an anomaly with the rocket's final stage resulting in the satellite having a highly elliptical and unstable orbit (approx. 280 - 640 km altitude). The first APT signal was heard about 08.10 UTC Saturday 29th January. Clearly there are problems with the APT image. NB. There are no Russian Meteor Resurs or Okean satellites transmitting or able to transmit APT. The NOAA-12 and NOAA-15 spacecraft have similar orbits, and both transmit their APT imagery at a radio frequency of 137.5 MHz. If the satellites should come within ~6000km of each other, ground receiving stations could potentially receive transmissions from both satellites simultaneously, which would result in a garbled image. So if the satellites should approach within 6000km of each other (i.e. the satellites are said to be 'in conflict'), usually the 137.5 MHz transmitter aboard the older NOAA-12 spacecraft is switched off. 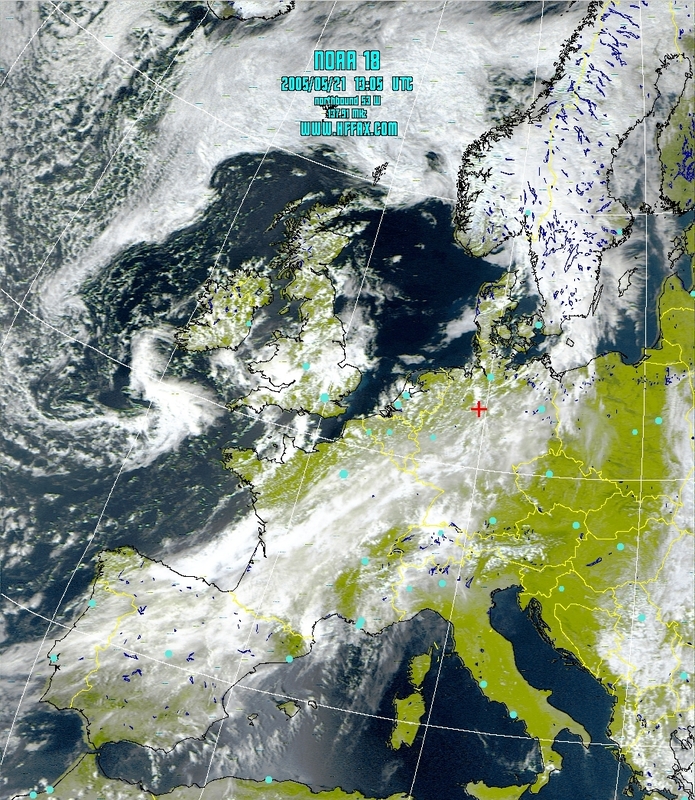 However occasionally NOAA-15 is switched off instead. NOAA-12 orbits slightly faster than NOAA-15, completing 14.25071335 earth orbits per day, compared with 14.24238665 orbits of NOAA-15. These numbers look very similar, but the difference between them (0.0083269) means that every 120.1 days NOAA-12 will complete one more orbit than NOAA-15. So roughly speaking, every day NOAA-12 'gains' on NOAA-15 by ~375 km. At this rate, NOAA-12 and 15 will remain within ~6000 km of each other for ~30 days. With NOAA-12 lapping NOAA-15 once every 120.1 days, and with the spacecraft too close to each other for ~30 days, either NOAA-12 or NOAA-15 APT transmissions are switched off for about one month in four. During the times that NOAA-12/15 is switched off, you may wish to monitor the current whereabouts of NOAA-12 and NOAA-15 as they play tag with each other around the globe. 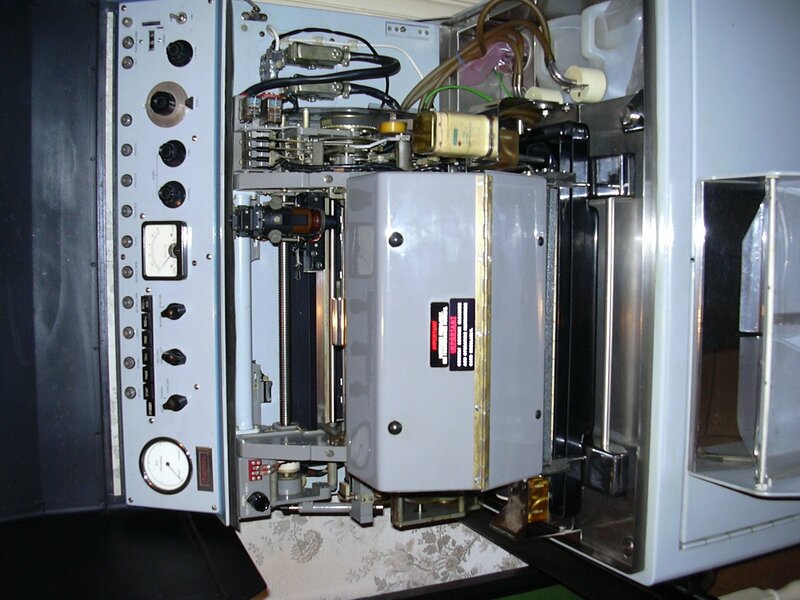 RN Northwood is testing a new frequency for their fax transmissions on 12390 KHz.. They ask for reports from any person receiving it and promise a QSL in response. Plan NOAA15 VTX-1 (APT data) TURNOFF on 13 Nov at 19:00z through 15 Dec 05. Mauro Giroletti, Italy reported that Rome Meteo is again active on 8146 KHz alternate 4777 KHz, with bad signal with multipath. 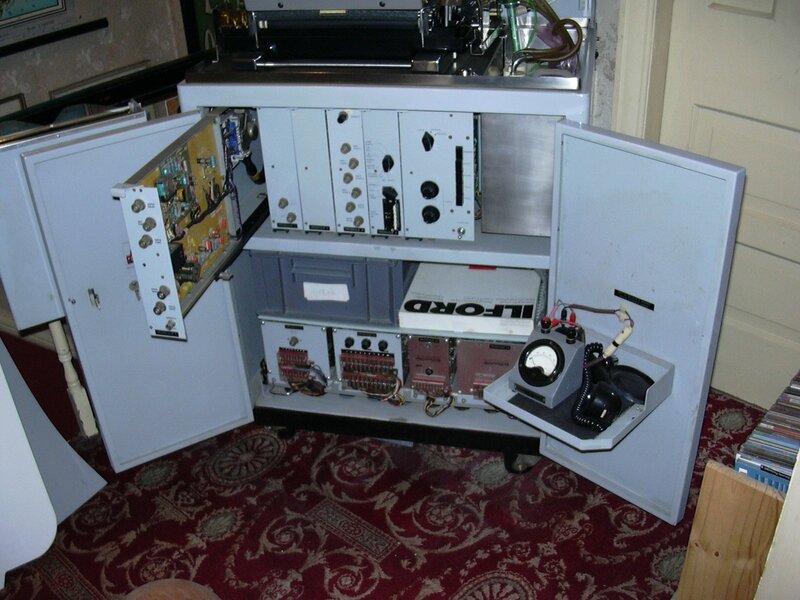 All HF radiofacsimile, HF voice and NAVTEX weather broadcasts from United States Coast Guard station NMG in New Orleans, LA have been restored. Allen Woodruff (Moderator) has setup a HF-Fax group, if you ever wanted to receive HF marine fax charts on your computer from coast guard stations and see the charts being processed on your computer. you will be able to see satellite IR images wind and wave, sea and surface temp charts and many more. if this interest you and you would like to process these charts on your computer using your soundcard in your computer. all you need is a shortwave radio that has the abilty recieve upper & lower sidebad and a outside antenna. if you are interested in this feel free to join my group. 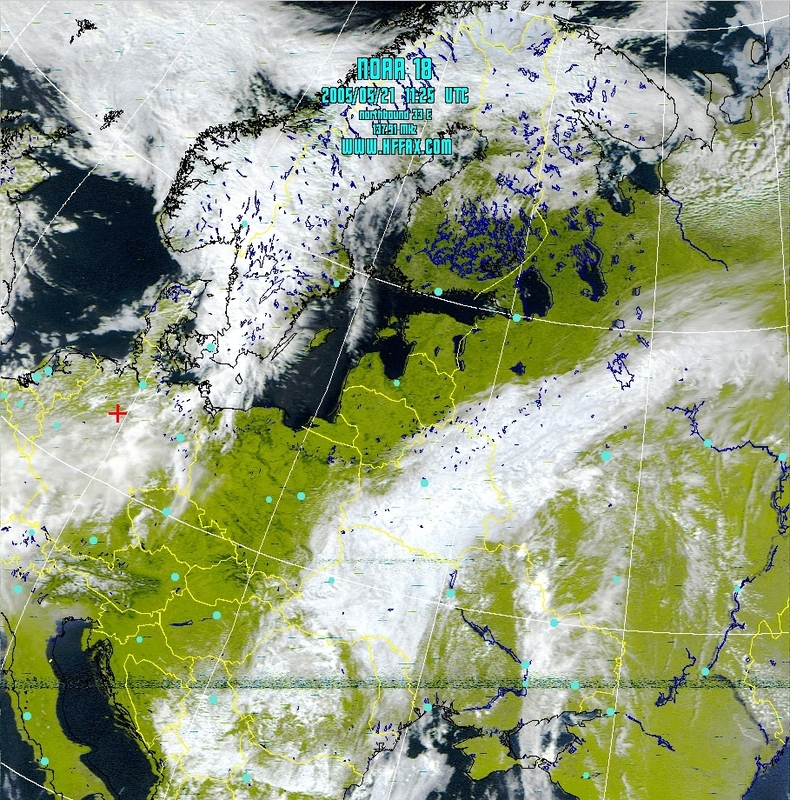 Try to decode the first days when NOAA N is operational the enchangements Vegetation. After launch, NOAA-N will be renamed NOAA-18. NOAA N or NOAA-18 will transmit APT on either 137.9125 MHz or 137.10 MHz. NOT on 137.62 MHz or 137.50 MHz! NOAA 18 is now sending APT images from its orbit on 137.9125 MHz. 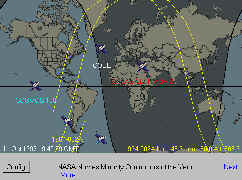 Since the IR equipment is not yet operational, 2 VIS channels are being sent for the next few weeks. 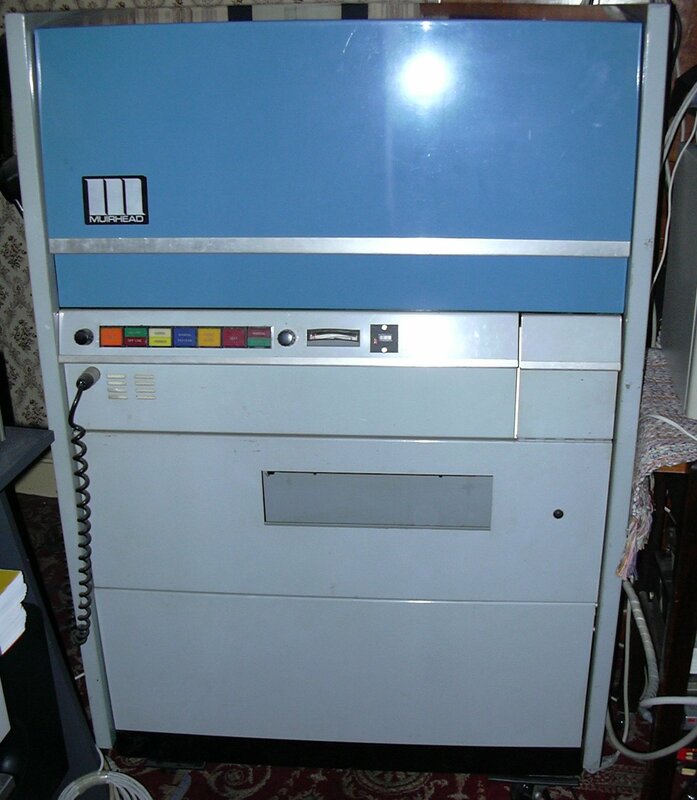 Added new Facsimile schedule for Tokyo Meteo (JMH) click here. Northwood (GYA) now also on 16.155 KHz, source: Mauro Giroletti. During recent testing of the NOAA-N spacecraft at Vandenberg Air Force Base, California, NOAA encountered a technical problem with one of the mission data transmitters. With NASA and the spacecraft contractor, Lockheed Martin, NOAA have investigated the problem, assessed the need for replacing the transmitter and analyzed the mission impact, if NOAA use the transmitter "as is." 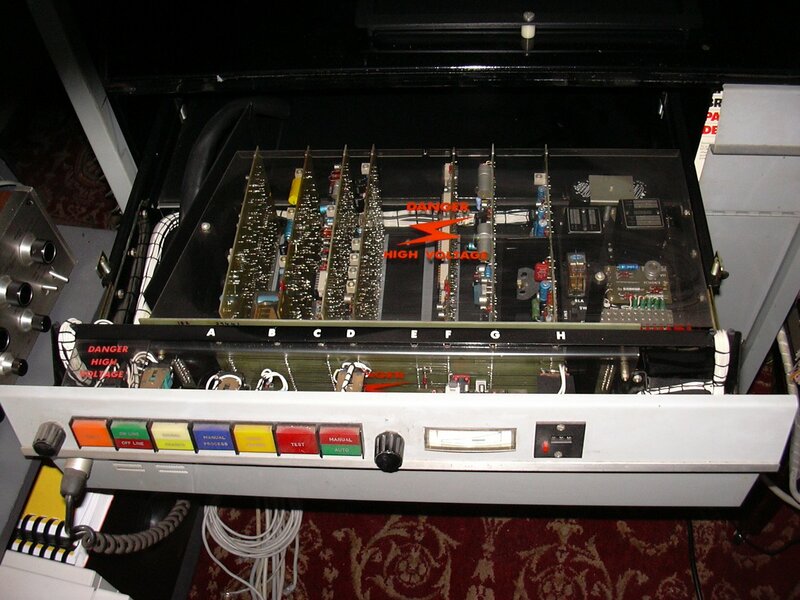 NOAA have determined that the problem is not generic in nature and that the best course of action is to replace the one transmitter with an existing spare. This will move the launch date for NOAA-N from March 19 to May 11 (TBC). The launch time remains at 2:22 a.m. PST (3:22 a.m. PDT) with a ten minute launch window. Eddy Waters found a UNID on 11.502 KHz who transmitt at 12:10 UTC a forecast chart from NWS TPC/National Hurricane Center Miami, Florida. This frequency is not a official frequency from USCG New Orleans (NMG), who transmitt normally these charts. 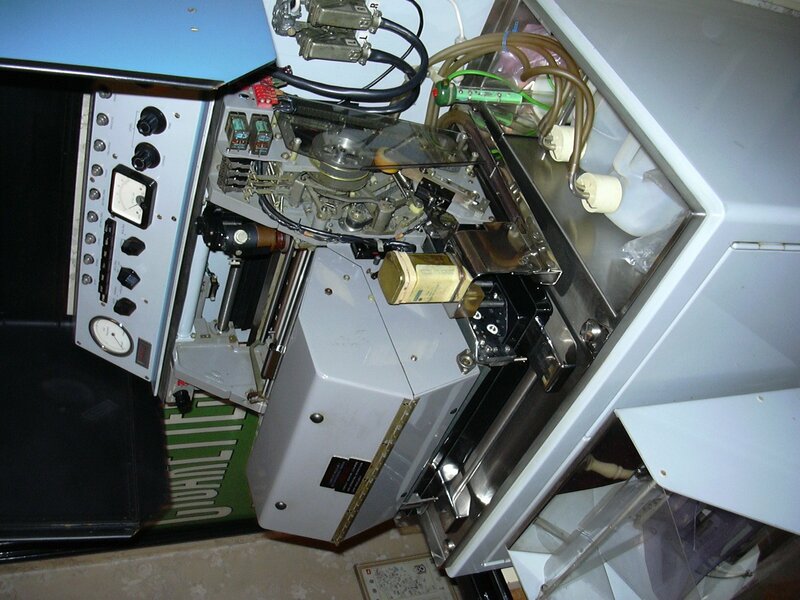 Ary Boender, Netherlands (WUN Member) found a UNID fax station from Russia at 7727.5 KHz. A bibliography of references, articles, publications and Books, refer to the history of facsimile. The meteo FAX service of the Hellenic National Meteorological Service is testing daily at about 0850 UTC using old charts dated 31 March 2004. NOAA-12 experienced a power system anomaly and went into a Power Survival Safe State around 2300Z on July 25. 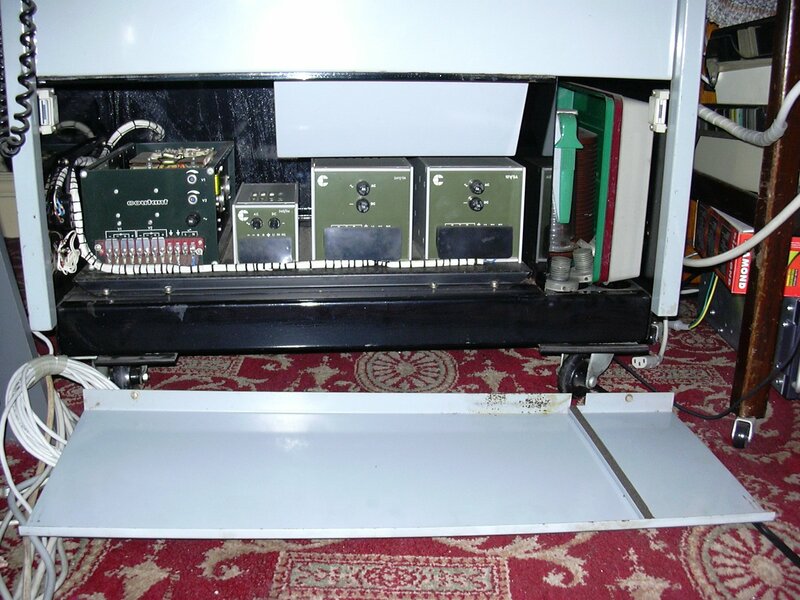 This mode places the satellite in a power safe state by shutting off the instruments (AVHRR, HIRS, SEM, MSU). Note: Recovery operations underway. AVHRR return to service expected NET 27 Jul. SEM and AVHRR status declared Yellow until recovery. Raymond Prestridge Weatherford, Texas, USA wrote: JMH (Tokyo Meteo) has ceased operations on 9970 khz. This would be JMH3, I believe. I have not received them broadcasting on 9970 khz for maybe a month now, and I notice their test charts and MANAM no longer indicate using this frequency. That's too bad, since 9970 khz was where I typically got the best results from them. Here in the southwestern US, JMH2 on 7305 many times has some heterodyne type interference that ruins the reception.JMH's other frequencies do well at times, but 9970 and 7305 are (were) presently the most dependable. Note from me: the latest schedule from 25th Mar 2004 did not mention this. This document includes the report on the status of the HF radio broadcast named JMH at RTH Tokyo, and the summary of replies to a questionnaire about services for maritime meteorological information from ship users. The meeting is invited to provide information and advice on HF broadcasts for ship users and the possibility of the discontinuation. JMH is the HF facsimile broadcast providing weather charts for mainly ship users on the Pacific Ocean and WMO Members in Region II. 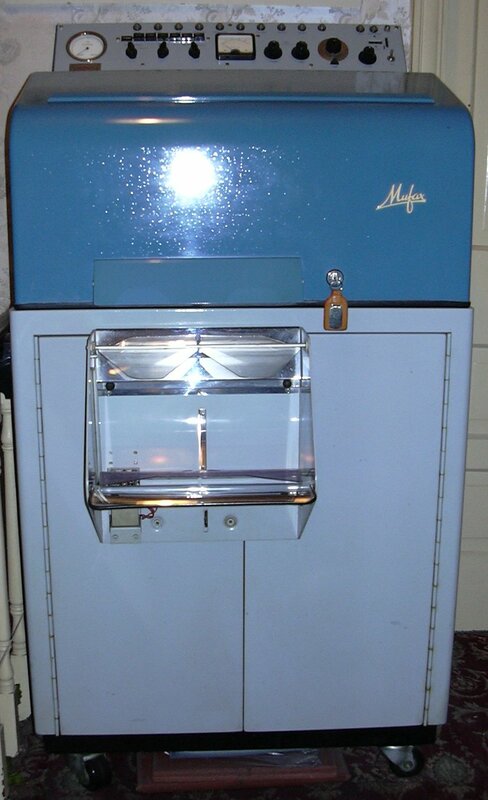 It has been operated by JMA since 1958. About 50 charts are broadcasted daily according to the precise schedule. Most of the charts are produced automatically by JMA’s NWP system. JMA uses radio transmission facilities and broadcasting services provided by NTT-East (Nippon Telegraph and Telephone East Corporation). The radio transmission conditions are shown in Table1. Figure 1 shows the configuration of JMH. With deterioration in budgetary conditions, enormous rental cost for NTT-East radio facilities and broadcasting services is a burden on other telecom plans. Furthermore nowadays it is more difficult and more expensive to maintain the current superannuated JMH system. Therefore JMA has been considering the possibility of discontinuation of JMH broadcast, and seeking the more cost-effective and modern alternative since 1997. For users over the land, there are alternatives such as providing charts via Internet, satellite multicast, GTS and so on. However for ship users, any reasonable solution has not been found so far. That is a problem. JMA surveyed ship user requirements through a questionnaire in 2000 in order to improve the maritime meteorological services. The questionnaire includes 18 questions categorised into five. 243 received replies are summarised as graphs in Figures 2 to 6. The results of questions about JMH are shown in Figure 5. In addition, Table 2 shows a summary of various comments about JMH and related issues. According to the survey, most of ship users think that JMH broadcast is useful for marine navigation. On the other hand, there are requirements of other improved and modern means such as Internet access to web servers and e-mail services (refer to NOAA marine product dissemination information “http://www.nws.noaa.gov/om/marine/home.htm“, especially NOAA FTPMAIL service “http://weather.noaa.gov/pub/fax/ftpmail.txt” ). Murray Lehmann, Australia received a UNID Fax station on 8657.5 KHz, using 90/576 at 10:00 UTC with a surface pressure chart (JMH) centred of Japan. This station is a fishery chart, and is from a fishery service in Fukiushima Prefecture. 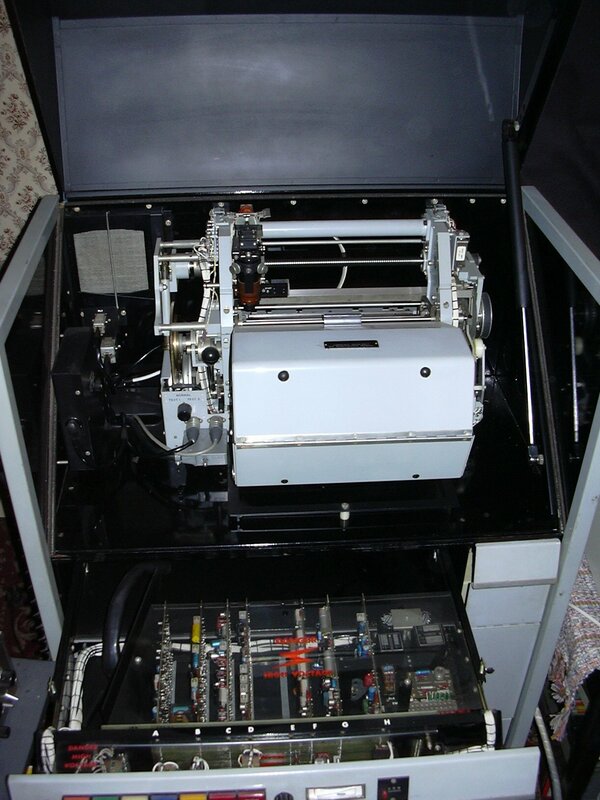 Pete Stein, Liverpool have collected facsimile machines for some years and have specialised in Muirhead products because of their (comparative) ease of converting to the reception of weather satellite imagery. 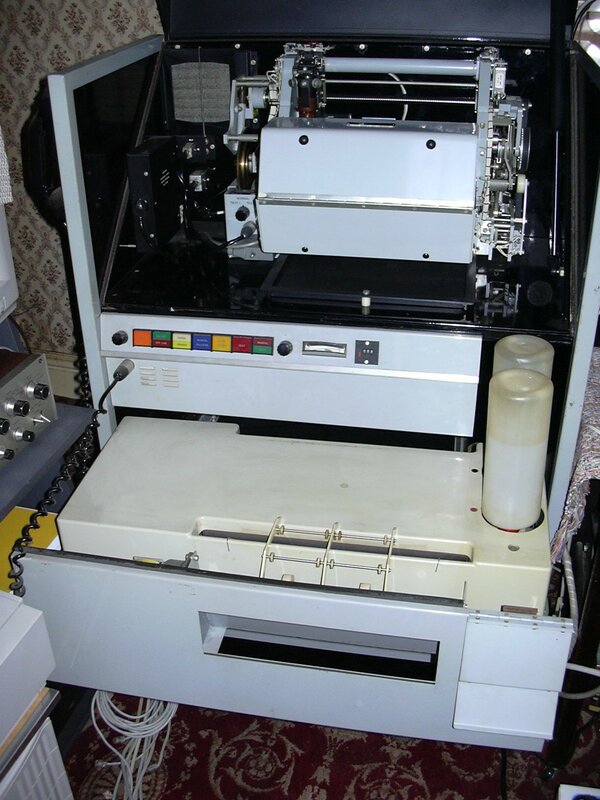 He has a couple of Muirhead photo fax machines one of which he keeping a K300 and one a K560 that will be skipped if no home is found for it soon. 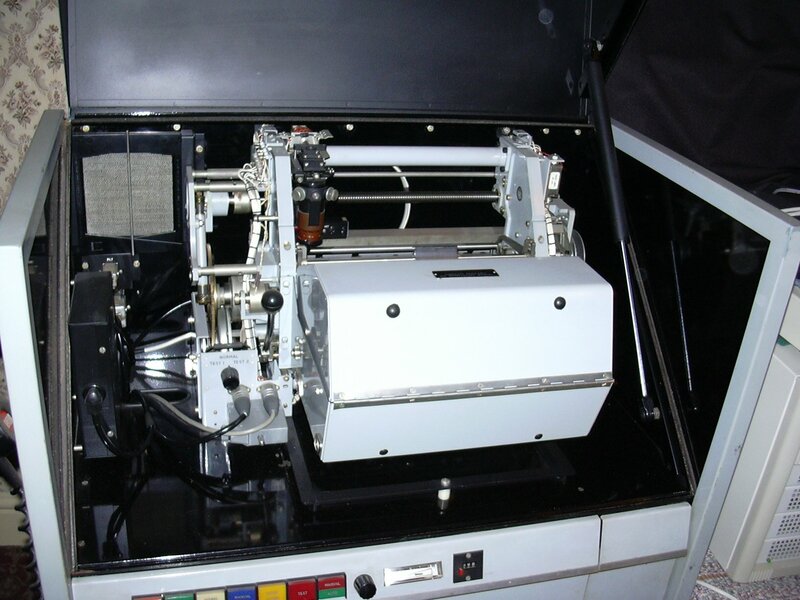 The unit was manufactured around 1970 and cost the MOD some £17000. 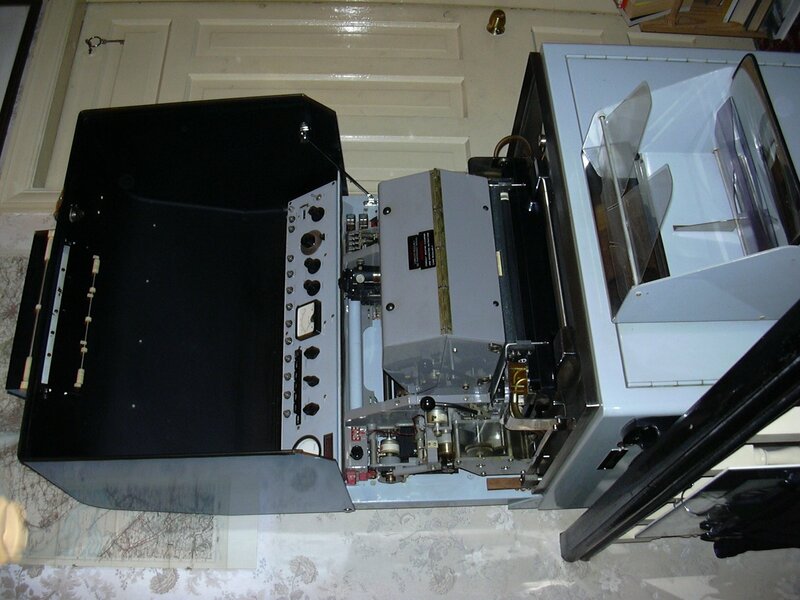 It was bought to receive images from warships during the Icelandic Cod Wars and was thankfully correctly de-commisioned after a few months until Pete Stein bought it .It has a complete selection of spares including a mechanism unit and manuals it would be a real shame to scrap it but no one in the UK wants it, ok it is a little big, but is unused and has been kept warm and dry for many years. You are a 'long shot' but if you know anyone who would like it is free. Source: Angel Aparicio, Spain via Peter Thomson, UK. The last version of the open source NOAA wheather satellite decoder software from Thierry Leconte called atpdec now available. Lot of small changes (bug fix, new AM demodulator front end, new false color generation code). atpdec -i ac -d . c:\yourfile.wav and after a few seconds you will get your image in current working dir. Details of the new Meteosat schedule (PDF and TXT formats) effective 28th November 2000 now available from the EUMETSAT website.